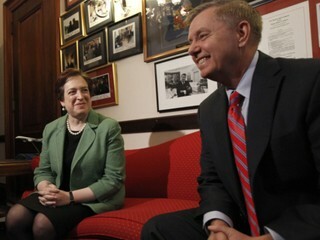 Lindsey Graham reminds me of a petulant child. 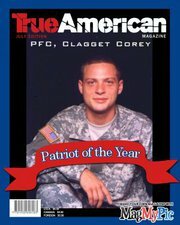 He refused to help his own constituent PFC Corey Clagett who remains wrongfully incarcerated in solitary confinement for following direct orders to kill while in Iraq. He incredulously worked on cap-and-trade legislation and was co author of a bill in the United States Senate but with drew his support when his position began drawing fire. Please note, “Lindsey Graham: For Cap and Trade, Except When He’s Not,” by Christopher Horner. The guy is a weasel, and probably would like to be the last person to vote so that he could to the most politically expedient thing for his own maintenance of personal power. WASHINGTON — These days, Republican U.S. Sen. Lindsey Graham of South Carolina isn’t deriding town hall hecklers as a bunch of “angry white guys” or branding as losers the conservative activists who criticize him at the S.C. GOP’s convention. Starting his 18th year in Congress, Graham also is not writing New York Times columns with U.S. Sen. John Kerry, D-Mass., on the dangers of climate change, pitching immigration reform or predicting the demise of the Tea Party. Instead, Graham is struggling to respond to the political force of Republican insurgents who helped elect backbench legislator Nikki Haley South Carolina’s governor in 2010 and, last month, gave Newt Gingrich’s anti-Washington presidential campaign its only win so far, in the state’s Republican Primary. Let no one ever forget that it was the RINO Senator from South Carolina, Ms. Lindsey Graham that gave the heads up to the senate don’t bother to plan a filibuster I’m voting for her. In his warped vision, “A president should get his choice and it should not be stopped by members of congress. Apparently this “need to be loved” fool needs validation from the left. Lindsey Graham is not qualified to be a US senator with his bizarre delusions. Said another way, without Lindsey’s vote, that then led to other RINO cave ins we would not have a Marxist, anti-military, pro Sharia/ Islam member of the Supreme Court. Article II Section I of the Constitution provides the mechanism for impeaching Supreme Judges and other Federal Judges as well. It’s time we remove activist judges, those who interpret the law as they see fit not as written in the Constitution the proverbial boot. Impeachment is the way. It’s all mapped out in the 3 minute video above from Wild Bill for America.